You are SO going to save during September! Yes, autumn has arrived. Minnesotans, as you probably know, just LOVE autumn. But there’ll be no cleverness about falling prices. Or savings of gold. No way, not here. 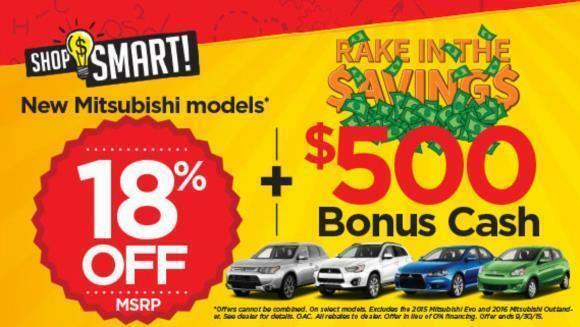 We’ll simply make a new Mitsubishi look even better by offering you a straightforward 18% off the top AND $500 in “Rake In the Savings” Bonus Cash! (okay, so we got a little caught up with the “Rake in” line). 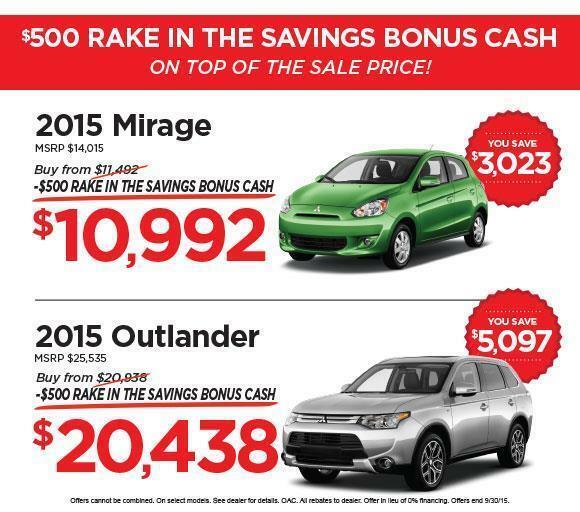 Point is, September is a spectacular time to get into a new Mitsubishi. Stop by soon and see for yourself.